Red Dead Redemption 2's Online element will be getting a public beta towards the end of November. 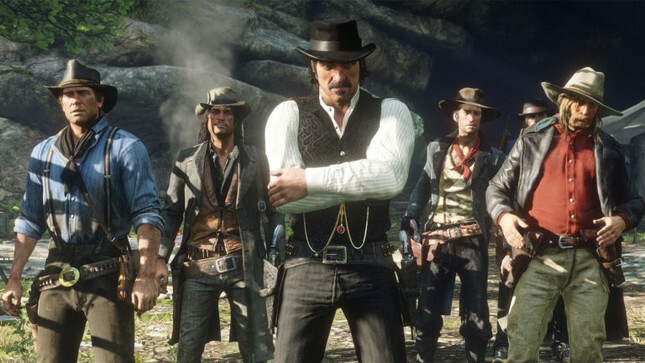 Take-Two CEO Strauss Zelnick stated in an earnings call that "it will launch in public beta towards the end of the month – Rockstar will have a lot more to say about it." Details regarding Red Dead Online are slim, however Take Two's president Karl Slatoff has described it as "an evolution of the classic multiplayer experience in the original Red Dead Redemption, blending narrative with competitive and cooperative gameplay in fun new ways." Even without an online element, Red Dead Redemption 2 can already be deemed a commercial success, making $725 million on its opening weekend. The latest figures indicate the game has shipped more than 17 million copies – that's more than the original shipped in eight years. So count yourself warned - you've still got a few weeks to get through Red Dead's story.